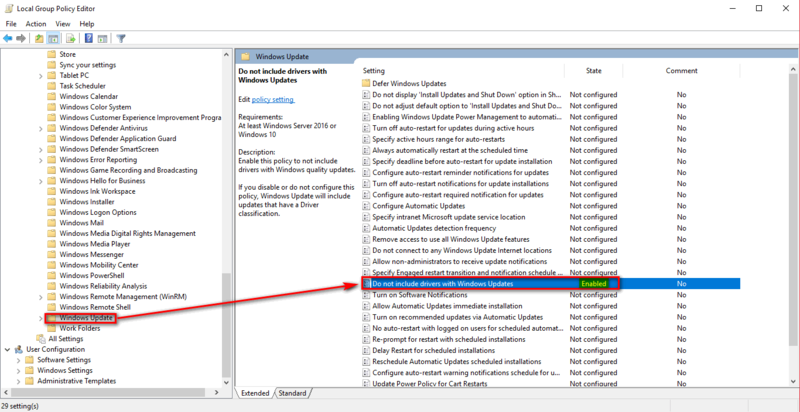 If you have Windows 10 Pro, you can also launch the Group Policy Editor by typing gpedit.msc in the Run Dialogue Box then go to: Computer Configuration > Windows Components > File History then enable the rule which says "Turn off File History"
CaerCadarn, Shakeeb Anjum, Georgel and 1 other person like this. CaerCadarn, Shakeeb Anjum, Georgel and 2 others like this. 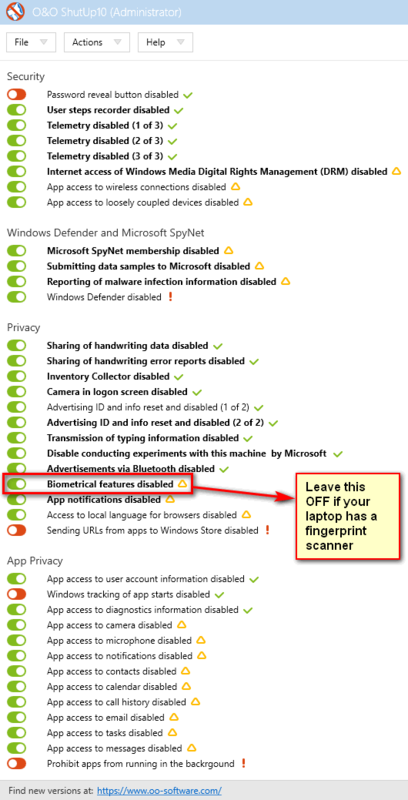 How to disable telemetry, keylogging, speech recognition, and other privacy breaching settings - DO NOT USE WINDOWS 10 WITHOUT THIS! 2) Upon the first run, it will recommend you to create a system restore point, that is up to you. 3) Set the options as per the illustration below, these are my recommended settings but feel free to click on any of the options to display a popup/caption of that that particular option does. 4) After you have selected all the options that you want to disable, simply exit the app; it will recommend you to restart which you should do immediately. 5) After you restart, run the tool again you will notice that one of the Telemetry options is back to the OFF mode so you need to again enable it and visually scan for any other options that didn't stick. 6) Exit the app again and reboot once more. This time all the settings should remain the way you set them. 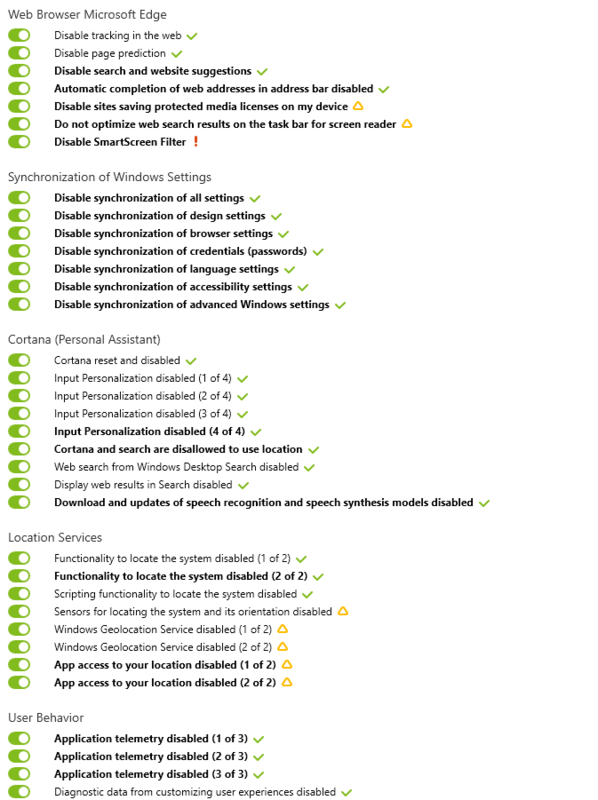 This is one of the best tools I have used in a long time and is a gift from heavens to Windows 10 users, without this tool, I wouldn't even dare to go online or use Windows 10 as you can see your every step, keystroke, and even speech is recorded and sent to Micro$h4ft. Thanks to this tool, it has changed my stance of Windows 10 from a piece of garbage OS to a tamable and usable OS. Note: This is not a must. If you are not comfortable with getting the latest drivers on your own, then leave this alone otherwise future updates to newer Windows builds may fail due to outdated drivers. 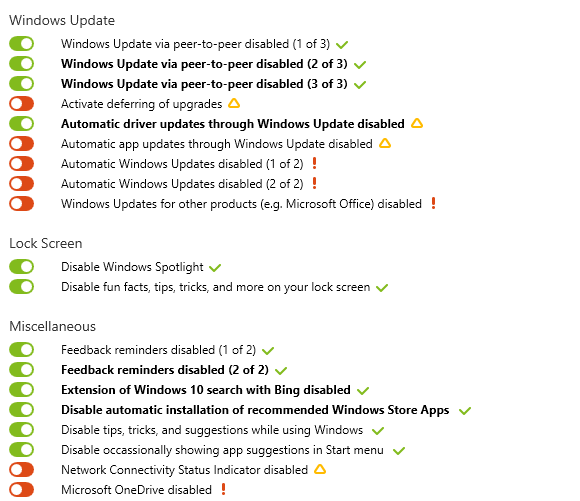 Fortunately, now O&O ShutUp10 works for disabling Driver updates through Windows Updates. 4) Enable the rule which says: "Do not include drivers with Windows Updates"
CaerCadarn, ronferri, DoomLP and 5 others like this. Now that we are done with the initial configuration of Windows 10, create a system image using your favorite imaging program before you proceed with the drivers installation. I recommend creating this image before the drivers installation because let's say a few months down the line a lot of drivers have been updated and you want to start fresh again rather than uninstalling the drivers and installing the new ones, this way we have a restoration point beforehand so we can start fresh again. After you create the first system image, proceed to the next step. CaerCadarn, DoomLP, Shakeeb Anjum and 1 other person like this. Start installing your drivers one by one, restarting after each driver installation even if you were not prompted to do so. Do not take shortcuts if you want everything to work 100%. 04-USB Drivers, if your computer uses USB ports other than the Intel Extensible Host as those are built into Windows already. Now that we have all the drivers installed, you may connect to your wireless network and run Windows Update to get the latest updates. CaerCadarn, Shakeeb Anjum and hmscott like this. After running Windows Updates, go ahead and install your preferred Anti-Virus. I personally use NOD32 Antivirus after having had tried them all as it is the only AV which doesn't conflict with other apps on my system, doesn't give me a single false positive is one of the lightest security solutions as you can see in the link below of the AV-Comparative Performance tests, and offers superb protection. Emsisoft Anti-Malware: Too many false positives for my liking but it's very light and would be the runner up after NOD32 Antivirus. Avast! AntiVirus: It is only free for 1 month now not 1 year. You have to be very careful when installing it to unselect the bloat like software updater, VPN, etc. I'd only consider the paid version to be honest since the free version is not really free anymore. Norton Security: Comes bundled with the Norton Identity Safe/Norton Toolbar for my browser, has ads for components not pertaining to your license like file shredder, password manager, etc. I don't like security solutions which offer additional bloatware without the possibility of doing a custom installation. Bitdefender AntiVirus/Internet Security = This is not an Anti-Virus anymore, this is an all in-on crapware solution that has a system optimizer, browser cleaner, driver updater, everything you can imagine is there. No thank you. Give me the protection only. Kaspersky Anti-Virus = Great AV, with a low performance impact, but it limits you, three re-installations and your license is blacklisted. I don't use software that limit me on how I use them or limit me on how many times I can format my computer so that's unfortunately not an option for me also their reputation has gone downhill lately so stay away. Webroot SecureAnywhere = The lightest AV on the planet spoiled by terrible false positives, ranging from file FPs to website FPs. Your system with be literally unusable with this junk installed on it. F-Secure AntiVirus = Light on the system, simple interface BUT conflicts with programs that I am trying to install. They'd never finish installing until I paused the AntiVirus. Didn't all the time but it happened enough to make me not recommend this. Avira AntiVirus = Was a great AV until they ruined it by now offering a mandatory installation of the Avira Launcher, a very bloated and stupid launcher that again has a system optimizer, etc. CaerCadarn, Shakeeb Anjum, Seraiel and 1 other person like this. CaerCadarn, Mari1225, Shawn and 2 others like this.